Designed to solve space and mixing problems, the patented Komax Wafer Type Static Mixer should be used when line space is limited for installing a traditional static mixer. 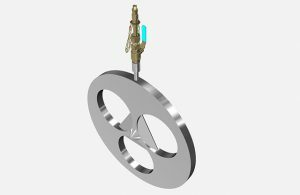 The Wafer mixer can be installed between the two pipe flanges in the main water stream. 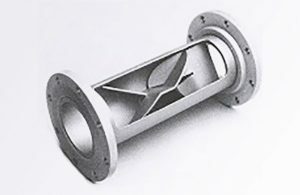 KOMAX WAFER MIXER technology employs a unique vortex generating element group that helps achieve a desirable mixing quality by creating three-way counter-rotating vortex pairs as compared to typical energy inefficient two-way mixers in the market. 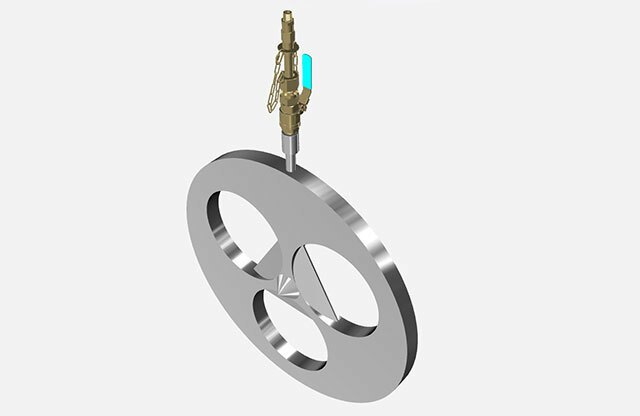 Extensive studies were carried out to determine optimal design parameters of the element such as height and inclination angle, which offers short mixing length with low-pressure loss in various flow conditions. The additive chemical is introduced in the center line of the mixer on the upstream side. 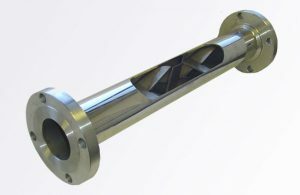 A discharge cone enables the injected chemical to be distributed evenly through the three vortex-inducing passages. The pressure difference between front and rear side of each element produces reversed flow that carries the chemical back toward the rear side of the mixer where intensive mixing occurs by the resulting vortical structure from the distinctive three-way counter rotating vortex pairs. CFD analysis of 30” wafer mixer installed in Riverside, CA. Proven to achieve a CoV of 0.05 or lower. Velocity vector profile colored in an additive chemical concentration. 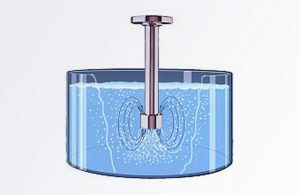 In terms of the pressure loss, this unique wafer mixer design reduces energy loss of the flow through the mixer as more flow remains attached to the mixer walls preventing the flow separation compared to other conventional mixers. Wafer Mixer installed between flanges.